Attleboro resident Patrick Collins, 20, published a book this past week titled, Fighting for My Life: How I Found God and Beat Lyme Disease. The UMASS Dartmouth freshman and 2016 Attleboro High School graduate wrote the book as a testimony to his journey with Lyme Disease, an illness that ravaged his body during middle school. Collins wrote the manuscript by himself, hired two freelance editors, and published the book through LULU — an online self-publisher. The idea of the book began with a series of diary entries that Collins made during middle school. During this time, Collins suffered through fatigue, arthritis, chronic sinus infections, mood swings, and seizures. After 25 doctors’ visits, not even one could pinpoint what was wrong. Doctor after doctor told the Collins family that it was “all in his head” and offered the young boy antidepressants. Collins missed at least one to two days a week due to his illness, and ended up having to stay back in the eighth grade. With a loss of hope, Collins’ parents decided to take him into a Lyme Disease clinic, which ironically was run by a family relative. “She was the only person who truly believed that my illness wasn’t something make believe. She knew that something was wrong,” Collins said. After running a series of Lyme Disease tests, the results came back positive. Flash backward about a year earlier, Collins remembered finding a small tick on the back of his neck. He didn’t think anything of it, peeled it off his skin, and disposed of it — not telling his parents. “Who knew that such a small little creature could create such pain,” he said. At its peak, the disease took a major toll on the young boy, spreading all over his body. It began to shut down his organs and caused him to have seven lesions to his brain — impairing his learning abilities. That “light” was Collins’ Catholic faith. After two years and thousands of dollars later that “light” led Collins to an accomplished high school baseball career, excelling as an honor’s student, who even campaigned to ban plastic bags in Massachusetts. The cover of Collins’ book is a person walking through a dark tunnel toward the light, a true symbol of the path he walked down to find his recovery. This entry was posted in Home on April 7, 2017 by abeeahs. Sometimes the most devastating situations can be turned into something positive. 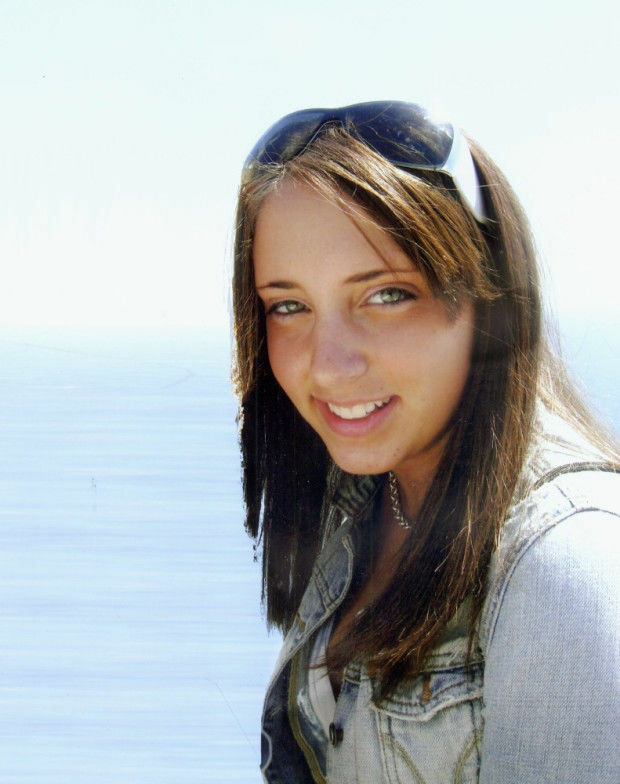 In 2008, Rebeckha Lynn Whitefield of Attleboro tragically lost her life in a car accident. The unexpected loss devastated many in the community but brought friends and family together – hopeful they could find a way to keep her memory living on. Rebeckha’s father Michael Whitefield, whom many people around Attleboro refer to as “coach” and “Uncle Mike,” decided to start the Rebeckha Lynn Whitefield Foundation shortly after his daughter’s passing. His hope was to establish a foundation that would embody all that “Becky” was – someone who loved her community, had a passion for sports, and loved to give back. Since its establishment, the non-profit foundation has provided support for youth organizations, programs and families of the Greater Attleboro area. In total, over $360,000 has been raised. You name it. They’ve donated it. Anything from money to library books to scholarships and apparel. Becky’s memory lives on today in many ways, especially during Sunday night foundation meetings at the Whitefield house. Over 25 people attend the meetings and work to raise money, organize, and plan events. On one recent Sunday night, cars lined the side of the road leading to the home. Volunteers were greeted with an assortment of food and beverages before Michael Whitefield gave a rundown of the foundation’s goals for the week. At the end of March and beginning of April, it gets “extra hectic,” he said, as members of the foundation finalize preparations for Rebeckha’s Blue Pride Ball. Tickets for the ball are $60 and will be held on Saturday, April 8, at the Mansfield Holiday Inn. This year, the foundation predicts that about 600 people will attend the ball. Volunteers are working several days a week to set up for the live and silent auctions, putting together specialty gift baskets, and doing anything they can to prepare for the large crowd. The outpouring of love and commitment from the foundation’s volunteers helps keep everyone moving forward, even in hectic times. And with the watchful eye of the foundations guardian angel, anything is possible. Gathered at the foundation’s meetings are those who knew Becky best, and have turned to the foundation as a means of coping. Wilson is a nine-year volunteer and remembers “as if it was yesterday” the first time she met Becky while playing field hockey for Attleboro High. Tammy Emmett is the owner of Countryside Farm in Attleboro and became teary-eyed remembering the days when Becky would ride horses there. For more information on the foundation, tickets for the ball, and donation options, go to http://www.rebeckhalynnwhitefieldfoundation.com/ or like the Rebeckha Lynn Whitefield Foundation’s Facebook page. This entry was posted in Home on April 3, 2017 by abeeahs. Attleboro High School English teacher Joseph Gorman believes that cursive writing is not a necessity in today’s digital age, but he does say it is a useful skill to have. “To be able to write legibly and clearly will always be important – making it look nice is an added benefit,” he says. “I don’t so much expect high school students to write in cursive, as I just assume they have been introduced to the skill and choose not to use it regularly,” he says. But if you think cursive writing on its way out, headed for a fondly or not so fondly remembered place in history, you may just be wrong. The Associated Press reported recently that, despite the relentless march of technology, cursive writing is looping back into style in schools across the country after a generation of students who know only keyboarding, texting and printing out their words longhand. Penmanship proponents say writing words in an unbroken line of swooshing l’s and three-humped m’s is a faster, easier way of taking notes. Others say students should be able to understand documents written in cursive, such as, say, a letter from Grandma. And still more say it’s just a good life skill to have, especially when it comes to signing your name. So how is cursive faring in this area? That depends on who you ask. Attleboro High School senior Tyler Koppy is among those who avoid writing in cursive. Koppy was taught it in third grade but has since forgotten almost everything about it; now he only knows how to write his name. He said that if one of his teachers asked him to write an entire essay in cursive, he would not be able to do it. “It would probably look very messy and a lot of letters would be wrong,” Koopy said. Throughout his high school career he’s only had to use cursive during his SATs, where he had to write out a statement that he would follow the exam’s rules. His writing ended up looking like a bunch of letters connected by random lines here and there, he said. “I don’t feel like I’m at a disadvantage for not knowing how to write in cursive, and I don’t think it’s necessary to continue teaching cursive or requiring it in this digital age because everything is online,” he said. In Massachusetts, schools are required to teach cursive in the third grade. Elementary schools in the Attleboro Public School district use a program known as “Handwriting Without Tears” to teach regular writing and cursive to their students, according to Attleboro Public Schools Assistant Superintendent Laurie Regan. But Regan stressed that students must also become proficient at typing on their digital devices, according to Regan. “It’s a delicate balance,” she said. With only one year set aside to teach cursive, some students say they’ve forgotten their handwriting skills by high school, or sooner. Brennan Middle School eighth grader Ben Lehane admits he doesn’t really remember how to do it. He doesn’t feel as if he’s at a disadvantage, though, noting that many of his classroom assignments have gone paperless. Theresa Castro, a senior at Bishop Feehan High School and a former student at St. John Evangelist School in Attleboro, has a different take. Castro credits her teachers in second and third grade who taught her cursive, adding that in fourth and fifth grade she was still required to write many of her papers in cursive at St. John’s. She feels it’s still a useful skill to have, and is something she continues to use. By second grade, students at the school learn how to recognize and read words in cursive and are introduced to the basic strokes. By the end of the school year they are able to recognize and form all the letters of the alphabet, in upper and lower case, Harrington said. In the upper grades, St.John’s students are required to write nearly all of their classwork in cursive, she said. Harrington teaches her students how to sit and hold their pencils properly, and uses whiteboards and dry erase markers so students can practice connecting their letters. Not only does cursive handwriting provide a commutative benefit for the students but also helps with the students’ brain development, Harrington said. “The connection between the hand and brain is very powerful in young children. When they are writing they are strengthening the synapses in the brain,” she said. In third grade, St. John’s students learn how to fine-tune and refine their cursive writing, practicing cursive 20 minutes a day, teacher Paula Bedard said. “I love to see how proud my students become as they master the technique,” she added. Whether your argument is for or against teaching cursive in a digital age, it’s still something widely practiced in area elementary schools. Gorman, the AHS English instructor, said he believes students who can read and write in cursive “have a slight advantage,” adding that all skills that “contribute to our mastery of the world” can only benefit students. “Even if we are moving toward a more digital culture, the growth of skill sets will always result in some sort of advantage,” he said.